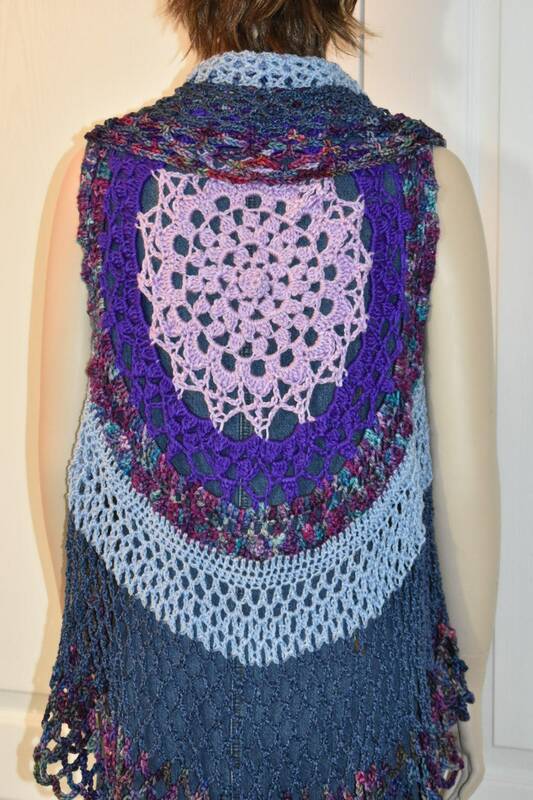 This mandala, hippie or circle vest is made in bright purple, lavender, light blue and navy blue colors. It'll look PERFECT with anything denim. 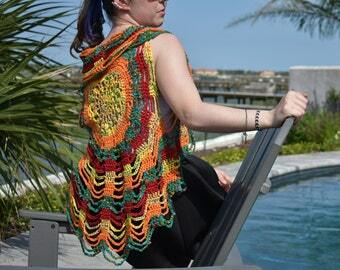 Imagine yourself twirling around at a music festival in this delightful, circular, festive vest! 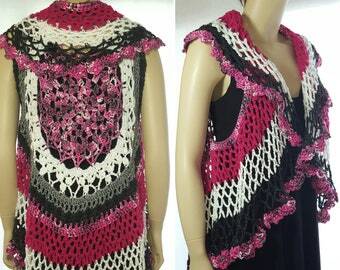 It's a misses / ladies / women's medium size and will fit sizes 6 to 10. 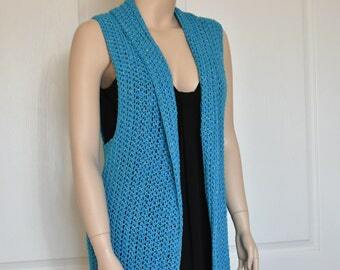 This vest has large arm holes and will fit a variety of bust sizes. 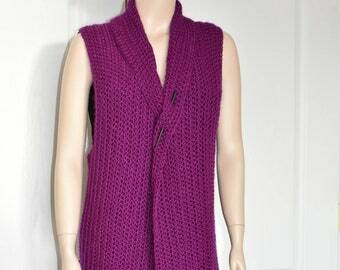 The vest measures 14 inches across the back between the armholes. The armholes are 12 inches tall. 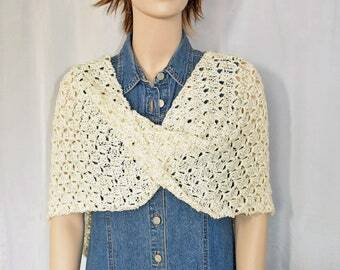 It's 32 inches long with a 4 -5 inch rolled shawl collar. 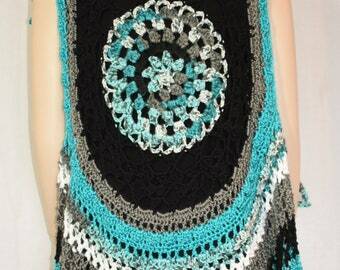 The collar can be unrolled in the front, crossed over and pinned or clipped. 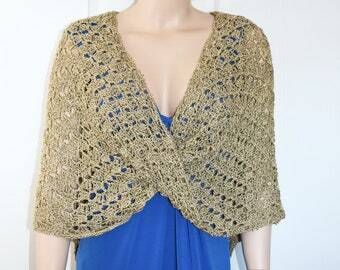 A wood shawl pin is included.